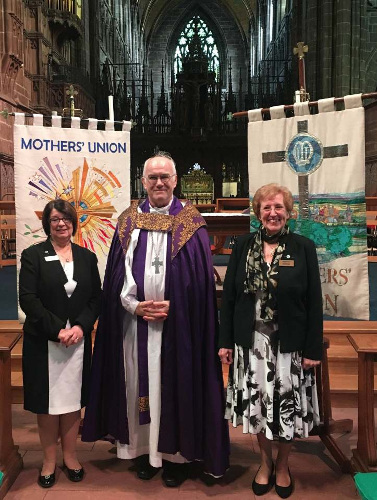 Chester Diocese Mothers' Union members gathered in Hartford for their Council and AGM on 30th June. They had an overwhelming response to the Box of Socks appeal. 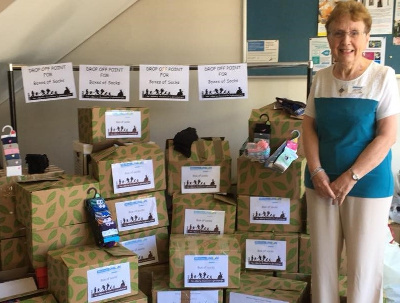 Over 100 boxes were then delivered to the refugee centre in Northwich. 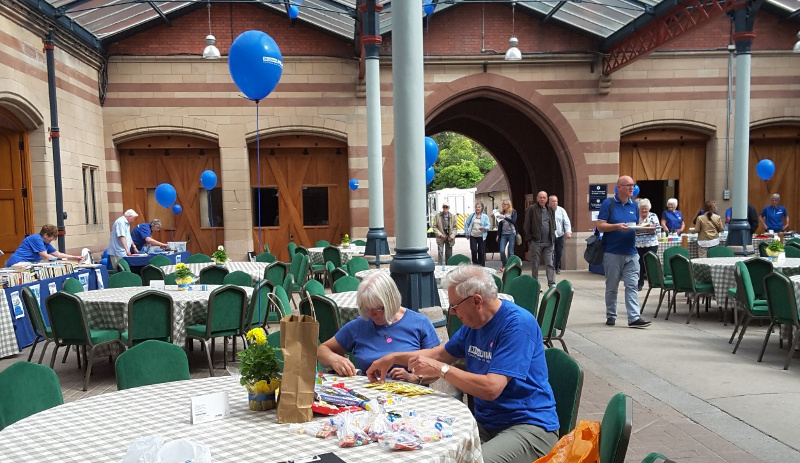 They contained 1000 pairs of socks, at least, to follow in Mary Summers footsteps. 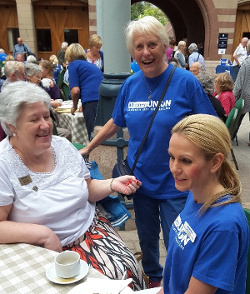 Thank you and well done to Joan Colwell and her Action and Outreach team. 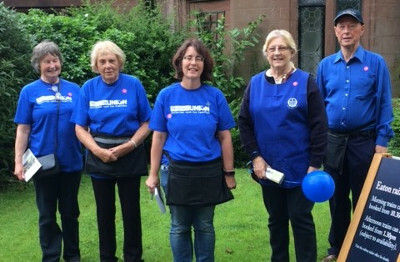 We raised over £16,000 for Mothers' Union Projects at Eaton Hall. 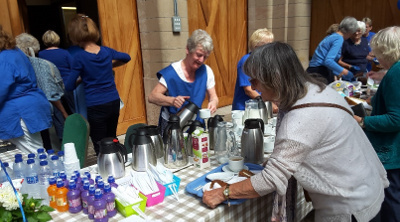 See Mothers' Union Matters on the resources page for a full report. 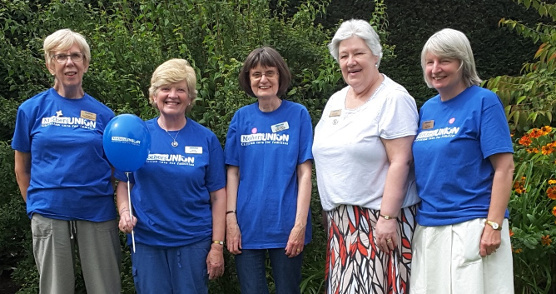 Our Provincial President is pictured with Trustees and helpers in their blue t shirts or tabards. 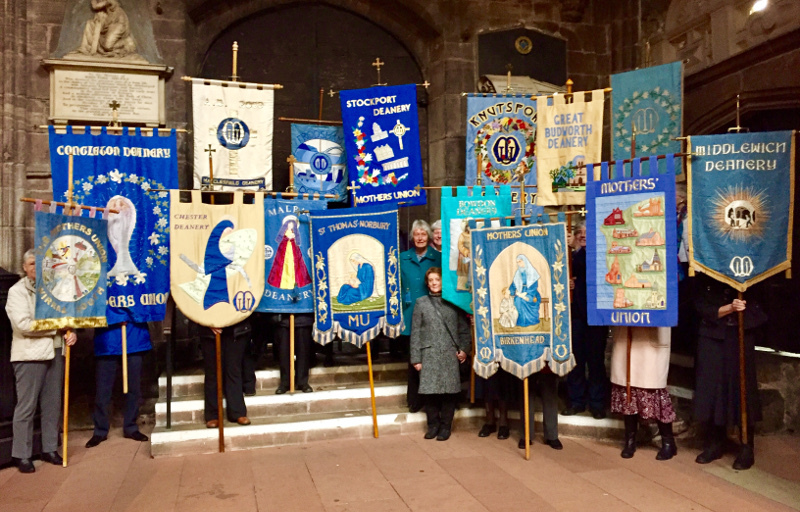 Do you want to be one of over 4 million members of the Mothers' Union?